I'm The Big Sister, in dark pink is truly lovely. The bear is available in dark pink. The characteristics include surface washable and the world's most huggable since 1898. It's dimensions are 12"H x 7"L x 7"W. It weighs only 0.38 lbs. The bear comes with a warranty of guaranteed against defects by the manufacturer. 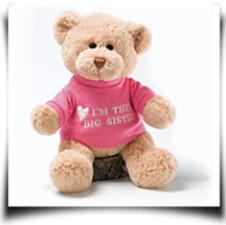 The i'm the big sister message 12 bear plush . 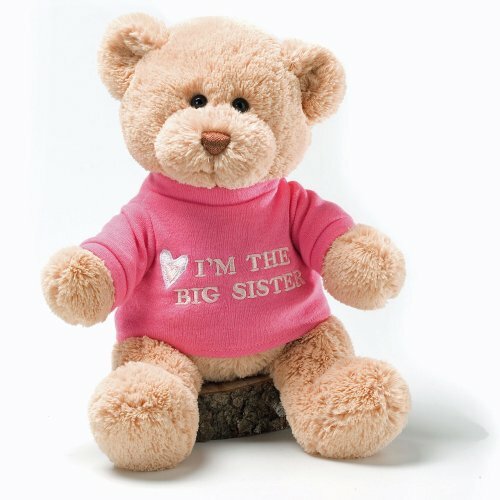 A sweet 12"tan bear wearing a pink shirt that says"I'm the Big Sister ". Surface washable. The world's most huggable since 1898.